Hardcover, 11 x 8.5 in. / 160 pgs / 126 color. Edited by Andreas Vitt. Text by Wulf Herzogenrath, Thomas Thiel. 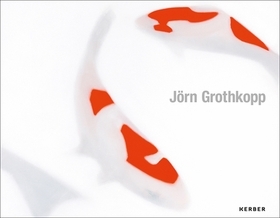 This publication assembles still lifes, landscapes, individual and group portraits by Berlin-based painter Jörn Grothkopp (born 1969). Sidestepping photorealism, Grothkopp creates striking images of weddings, parties and Koi fish that resemble out-of-focus snapshots with soft, blurred edges. FORMAT: Hbk, 11 x 8.5 in. / 160 pgs / 126 color.